For many people, the NC State Fair is about fried food, rides, and giant pumpkins, but for me it is so much more. Don’t get me wrong, I love getting fried cheese, bacon pimento cheese hushpuppies, and blooming onions. I always ride the Ferris wheel and bumper cars, and always take a peak at the giant pumpkins. BUT…that’s not why I go to the fair. I go to the fair to drive and nervously back trailers in the heart of Raleigh. I go to help my brothers wash pigs, watch them compete against hoards of others in the ring, and coach them along the way. I go to fluff and trim goats. I go to the fair to walk sheep in the ring, pick straw from their fleece, and to see if we’ve improved from last year. I go to compete for the blue ribbons and champion titles. I go to take a thousand photos, to see friends, and spend 6 days in a barn. I go to the fair to spend time with my family and make memories. I go for the livestock experience. I look at the NC State Fair through a different lens than many who walk through the gates. It isn’t just a place to find entertainment or unique food. It is a place where both heartache and joy has taken place. It is a place where I have run around with so much adrenaline and energy, but also been utterly exhausted. It is a place where I have learned lessons. The NC State Fair is a place that holds a special place in my heart. This year was no different. While there was a great deal that took place over the course of the fair, I just want to give you the highlights. The first day, Mom, the boys and I went to check pigs in. All went smoothly. We headed back home to pick Dad up and head once more to Raleigh to stay in a hotel. We had a super early morning and didn’t want to deal with Raleigh traffic the next morning. Although an early morning awaited, I was to have a late night. You see, Garrett was arriving on a flight at midnight! I hadn’t seen him since I left him in Nebraska back in August. I was so excited! I am ashamed to say, that I dozed off and was 15 minutes late picking him up from the airport. It all worked out, and I was reunited with my fiance!! Fair wouldn’t quite be the same without him. The next morning did indeed dawn bright and early, but I was too excited to be tired. Today was the pig show!! My boys did an amazing job showing Arnold and Schwarzenegger. Both pigs were in the top 10 and Isaac received a super showman pin. I may have teared up a bit. On Saturday, I returned once more to the fair, this time alone. I arrived in time to walk Garrett’s little red pig in the sale ring. Goodness do I miss driving a pig in a ring. My primary reason for coming back to the fair wasn’t to walk a pig, though. I was set to photograph and video the Sale of Champions. I love auctions, livestock, and the fair, so being able to capture it all with my camera, is such a joy! Alec was also recognized as a scholarship recipient. The next day of the fair was to be on Monday. We loaded 4 little goats on the trailer during such a rainy day. Because all the goats were born within a couple of weeks of each other, they were all the same size and in the same class. Sadly, we only had 2 Linton boys, but 4 goats. They couldn’t very well show 2 at a time. Thankfully, we had friends in the barn who helped us out! Mom, Dad, and the boys went home, while I stayed in town to spend time with Garrett. He would fly out the next day. Wednesday arrived. We loaded 12 sheep (all of which had been washed and clipped). Because there were so many, we had to take the big trailer which is always more nerve-wracking to drive. I take that back. It is fine to drive but scary to back. I’m happy to say, though that I was able to back it perfectly! With the sheep penned and the trailer backed, we were ready for the next day. Another early morning greeted us. Today the entire family was able to be at the fair together. Showmanship was up first. Isaac and Gideon went head to head in juniors. Gid came out on top, which worked out well. Isaac beat Gideon in pigs. Alec received reserve champion senior plus showman despite an irritable sheep. We were off to a phenomenal start! Costume class followed showmanship. Isaac dressed up in a red, white and blue theme to highlight wool in America. Gideon showed off tools of the trade to raise sheep. There were so many cute costumes! With 12 sheep, we were in and out of the ring constantly. All of our girls did well, and I was even able to show during the open show. Isaac was extra proud of his Astrid sheep. He bought her with his own money earlier in the year, and she ended up winning her class! The face says it all! Interestingly, Alec ended up with the best sheep–Georgette. Last year, I did not like Georgette. She placed behind all our other sheep, and just wasn’t my favorite. This year, here fleece was gorgeous, and the judge agreed. She won her class and went on to compete in the champion drive along with two other of our ewes–Astrid and Evelyn. I held my breath as the judge looked over all the blue ribbon sheep. And then…she shook Alec’s hand. Georgette won Supreme Champion Junior Ewe and Got to Be NC Grand Champion Junior Ewe. I may have screamed a bit. We have come so close to Supreme Champion several times, and it finally happened. What made it even more special was we raised Georgette on our farm. She was Countryview Farm genetics. It didn’t stop there, though. In the open show, Georgette also won Supreme Champion Fleece, and our new ram, Church, won champion medium/fine white ram. It was such a good show! We celebrated by eating our favorite fair foods, walking around, and riding some rides. I found my bacon pimento cheese hushpuppies, Dad and Alec snagged them a blooming onion and Isaac and mom grabbed a funnel cake. Gid discovered a new favorite –Poutine (fries covered with cheese curds and gravy). This gravy loving boy was in heaven. And with that, the 2017 NC State Fair ended for the Lintons. We loaded up and headed home. 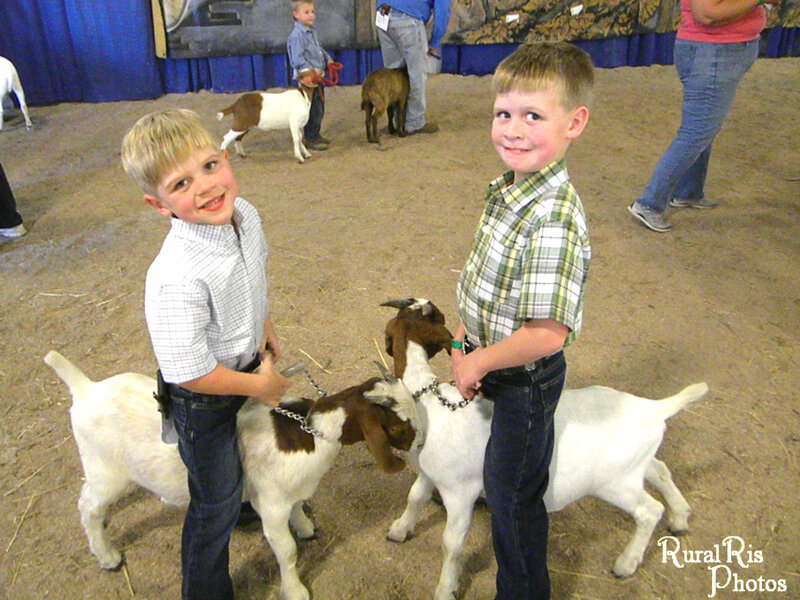 For us, the fair is about family, livestock, friends, and some food. See you next year!! Recently an article was released from PETA that was beyond negative about the FFA. While I will not be linking the article here (I have no desire to increase its views and I do my best to only include truthful things in my blog), I can tell you it was not a fun read. While I have a thousand arguments that I could throw out there about how wrong the article was, I don’t want to go down that road. You see, this goes beyond a typical agriculture versus animal activist argument. This is about youth…our future. The author of the PETA article, well, they missed it. They ran into the situation, guns of assaults blazing like a bull in a china shop, but they missed it. While trying to make some sort of impact of their own, they missed the impact that FFA has on thousands of youth –629, 327 students to be exact, and that does not include alumni. Shelby’s favorite picture is the very first one taken as the NC State Officer team. FFA has not only impacted my life, but it’s truly changed it forever. FFA has inspired me to devote my life to service and become an agricultural education teacher. FFA is far from your average club; I’ve been in quite a few clubs, and while they are great, none have influenced my life like FFA has and will continue to do. I have been in FFA since I have been in the 7th grade. Since then I have served in multiple offices (Treasurer, Vice-president, and Tobacco Federation President) and competed in several career development events including Parliamentary Procedure, Extemporaneous speaking, Agricultural Sales, Livestock judging and many more events. But nothing has meant more than the friends I’ve made through this amazing experience and the mentors I’ve had established through this life changing experience. FFA is the best experience you can have as a high-schooler, because it not only builds you as a leader, it gives you opportunity to influence and change people’s lives. That is what FFA has done for me and millions of people that have been in it. It has been one of the biggest blessings God has so greatly blessed me with.” -Alan Johnson, Spring Creek Chapter Vice President and Tobacco Federation President. John’s favorite picture exudes joy! Trey, second from left receiving his state degree. Of course, these testimonies of how the FFA has made an impact are just a drop in the bucket. FFA is something positive for our youth. Agriculture aside, it develops skills, connections, and life lessons that can be used in any scenario. I’ve seen it make an impact time and time again. Unfortunately, some people don’t see that, but that is where you come in. PETA told an FFA story, and it was dead wrong (no pun intended). Now it’s your turn. How has FFA impacted your life? Share your story, and let your voice be heard in the comments section. Let’s fill it up with all of the ways that FFA helps build our future…our youth. So, my challenge to you is, A) don’t share the PETA article. It only gives them more attention and traction. B) Try not to get too angry. Anger shuts people down. C) share your excitement and passion! Let your voice be heard. You can start now, by commenting how FFA has impacted your life. Ready, set, go! 1. These kids have great character. This group of kids work hard for months, working with and caring for their animal. Many of them wake up early before school to feed and come home to work with their animal after school too. They work in the heat, rain, snow, and ice and deal with equipment malfunctions, sick animals, escape stock, and trying to get an animal to gain weight for the show. It isn’t easy and takes an incredible amount of dedication. If that isn’t enough, these kids love what they do! 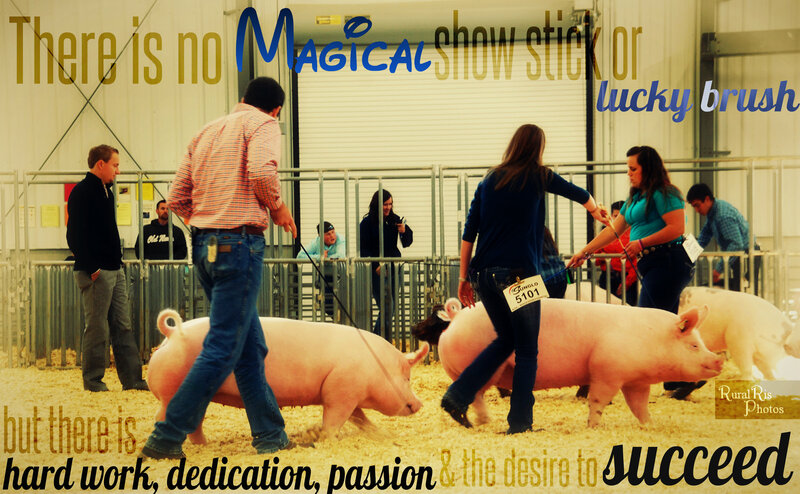 They have a passion for showing and that shines through. For our county’s spring show, the participants give up a whole spring break to show their animal, exhibiting their dedication. These youngsters are filled with camaraderie for each other, and are always willing to chip in to help. They often exhibit excellent sportsmanship, congratulating each other on a job well done. They attend workshops before the show to learn more, and compile a record book of their efforts after the show. The show is not a one and done day deal. It take months, and these kids are willing to do it. If you want to see hard working, responsible, dedicated, passionate, kids who are all often friends, look no farther than livestock show participants. It doesn’t matter if you buy a cheap goat or the most expensive one on the farm, raising an animal is expensive. Feed, medication, and supplies all goes into costs. Feed on the cheap end is around 10 dollars a bag, but to raise the best show animal possible, you are looking at 15 and even 20 dollars a bag, and these bags may not even last a week, depending on the species of animal. 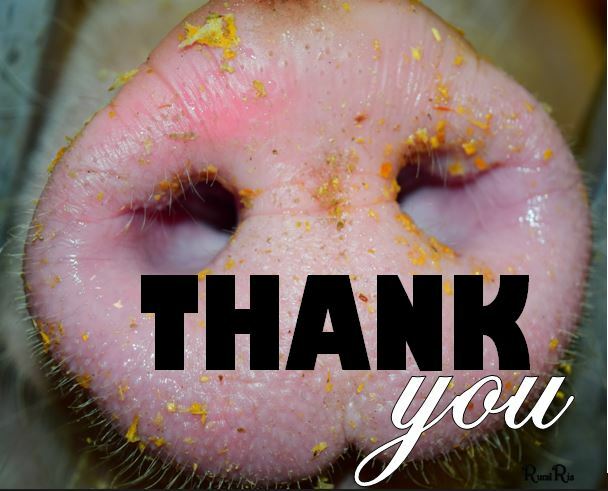 If you are lucky enough to not have to buy any medication for your animal, there is still the costs of supplies such as clippers, halters, hog sticks, shampoo, brushes, and more. Those in the livestock joke that showing is not a money making business; however, getting close to breaking even would be nice. 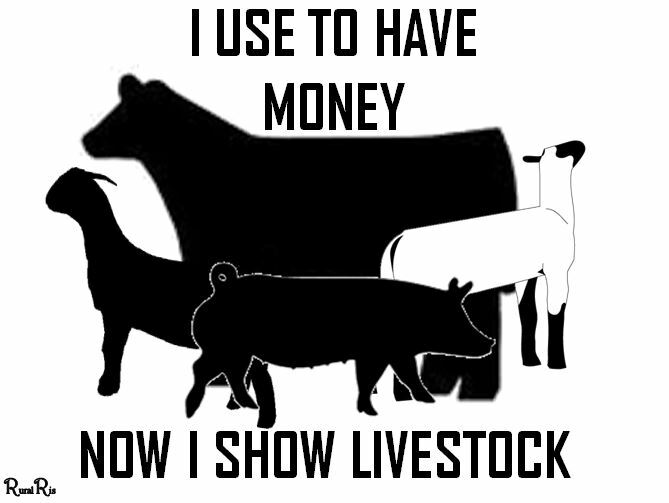 For most, showing livestock is addictive. It is hard to do it just once, which brings up the matter of next year. Money received from the sale, often goes toward next year’s livestock project. Next year holds the hopes of bettering oneself and seeing friends from the previous year. Having the funds to invest in another livestock project is crucial, and even having a larger budget thanks to the sponsors of the sale holds the promise of being able to perform better in the next show. I cannot tell you how many show families I know, that their rule is any money made from the sale goes into a fund for college. After more than a decade of showing for some of these kids, they have a substantial fund to put towards college. 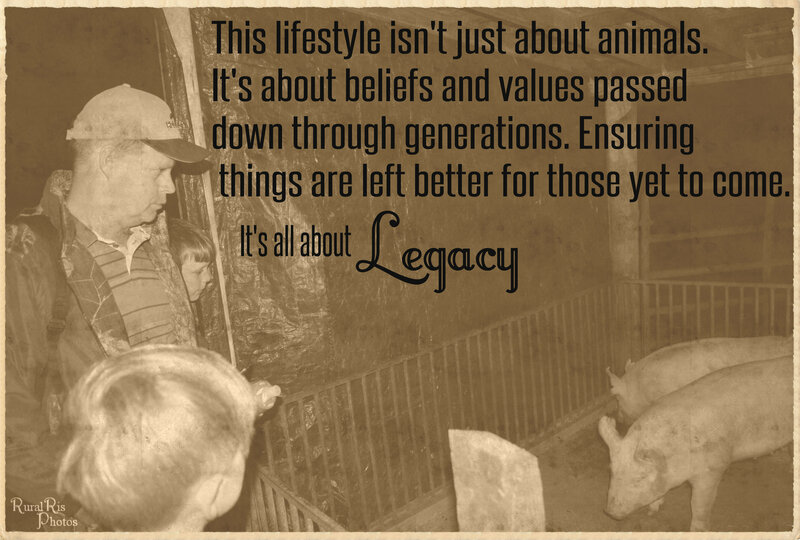 The sale is more than money for a kid who shows a pig. The sale provides scholarships for the future education of youth. With rising tuition costs, this is major. 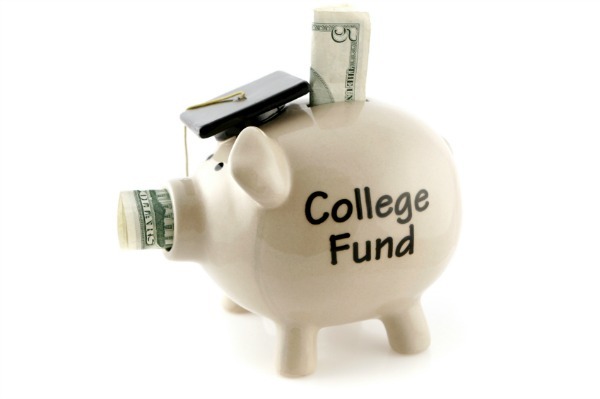 Becoming a buyer in a livestock show and sale is often sponsoring a scholarship for a child’s college fund. It is literally adding to the piggy bank. As a part of a good livestock project, youth keep track of their expenses and what they make at the sale. For our sale, they must do a worksheet that tracks their outcome, income, and their profit or lack of profit. When I was little, I did not realize the extent of money that went into my livestock project until that worksheet was filled out. At that moment, I realized just how much finances went into showing livestock. There are one of two ways that a child gets a buyer/sponsor. The first is if they personally ask an organization or individual to support them in the sale. The second way is to have someone in the sale crowd to bid on their animal. Either way, the excitement and appreciation that accompanies the knowledge that someone is sponsoring you is profound–not just for the child but for the parent as well. While not every child gets the same amount of money, any amount is celebrated and appreciated. Don’t be surprised to receive a picture and thank you letter later from the child you sponsored. Although giving money is often referred to as a buyer and the sale is run like any other auction with the words “SOLD!” stated, it does not mean that you take an animal home. The only thing you are taking home is the image of smiling child. The only one bringing animals home is the person bidding on support price. A show’s success is often contingent on the individuals it comprises of. Parents, youth, and volunteers all take part in the program. Sponsoring the show and sale, helps support these individuals and the program and therefore allows it to continue for years to come. Show and Sales are often many decades old and are attended by generations of people. It is a tradition that would be tragic to die. It goes beyond providing financial support to a child, by sponsoring, you are impacting that child at a much deeper level. They notice when someone bids on their animal. They know when they are being supported or when they aren’t. Believe me, they are grateful for that support. It provides encouragement and excitement along with finances for their endeavors.